The medical definition of the term "acute" applies to many health conditions, from cancer to allergies. When using the term "acute," doctors are simply referencing an injury or pain that occurs suddenly and generally lasts for a short period of time. A person may have acute leukemia, acute bronchitis, or even acute bipolar disorder. Strokes, appendicitis, and respiratory problems may be described as acute as well. While "acute" refers to a health condition that has surfaced suddenly, it does not indicate the severity of the illness. Rather, the term is used exclusively to describe the rapid onset of symptoms or illness or the short period of time that the symptoms or illness lasts. Accordingly, while the word may sound frightening at first, people who are told that their medical condition is acute should not assume the worst. Misconceptions About the Term "Acute"
While a sudden rush of symptoms may be frightening, it does not mean that a person cannot overcome the medical condition causing these symptoms. Acute appendicitis, for example, is extremely common, and patients manage to triumph in such cases every day, thanks to alert and fast-acting healthcare professionals. 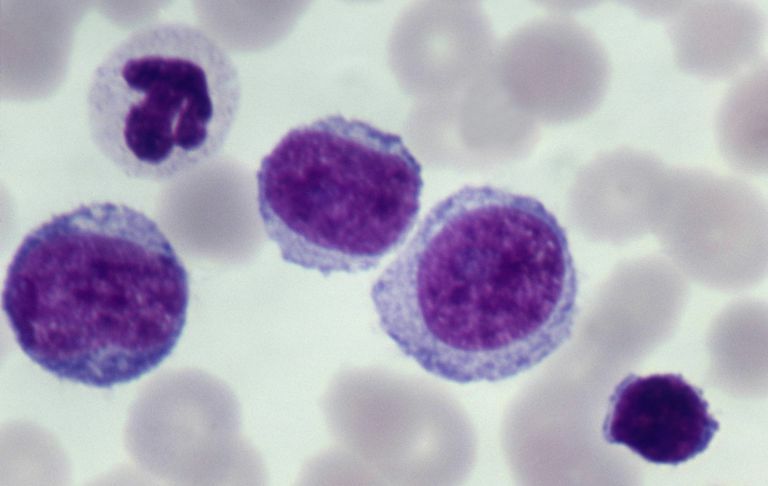 In cancer cases, the term "acute" is often used in the context of lymphoblastic leukemia. This cancer begins in the bone marrow, the location where new blood cells develop. Doctors describe lymphoblastic leukemia as acute when cancer rapidly infiltrates the blood and travels to other areas of the body, such as the brain and spinal cord, lymph nodes, spleen or, in boys and men, the testicles. Closely related to the term acute is "subacute." In subacute health conditions, the symptoms or illness may not come on as swiftly as symptoms or illnesses do in acute cases. On a scale of 1 to 10, with 10 representing the most rapid onset, a patient with an acute medical condition may say that their symptoms came on with the swiftness of a 9 or 10. On the other hand, a patient with a subacute illness may say that their symptoms came on with the swiftness of a 5 or 6. The opposite of acute symptoms or illness is chronic symptoms or illness. While acute disease comes on quickly or lasts for a short period of time, chronic symptoms come on gradually and last for longer periods of time. Health care professionals may describe a disease as chronic if symptoms last for six months or more. Sometimes doctors also describe a medical condition as chronic if there is no hope for improvement for the disease, such as with arthritis. Unfortunately, scores of Americans live with chronic medical conditions every day. These conditions typically do not disappear after diagnosis. They include diabetes, HIV, respiratory diseases, and heart disease in addition to some types of cancer. Managing such conditions is the key to allowing patients to live their best lives in the face of disease.